form of multidisciplinary health care, which is designed to provide palliative care and alleviate the physical, emotional, social and spiritual discomforts of an individual who is experiencing the last phases of life due to the existence of a terminal disease, and to provide supportive care for the primary care giver and the family of the hospice patient. You or your loved one can find a variety of these Hospice Care providers in Newport Beach, CA. Hospice Care is a category of care that deals with the emotional, social and spiritual impact of the disease on the patient, as well as the patient’s family and friends. There are a mixture of bereavement services available to families, before and after a patient’s death. Sign up today and save your Newport Beach hospice listings. There are many Hospice Care providers in Newport Beach, California that may be suitable for you or your family. 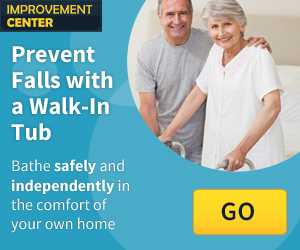 Click below to view Hospice Care providers in Newport Beach, CA. Hospice Care teams offer a special type of care designed to provide comfort and support to patients and their families in the later days of the patient’s life. Newport Beach is a seaside city in Orange County, California. There are many fun things to do while in the Newport Beach area, such as ride the Balboa Island Ferry, hang out at the Fashion Island or tour the Sherman Library and Gardens. Some cities that surround Newport Beach are Irvine, Costa Mesa and Huntington Beach, CA. In the Newport Beach area, there are also hundreds of hospitals and medical complexes for you and your loved one to choose from.